The fitness consequences of dispersal decisions are difficult to quantify, especially for long-lived species with complex social systems. 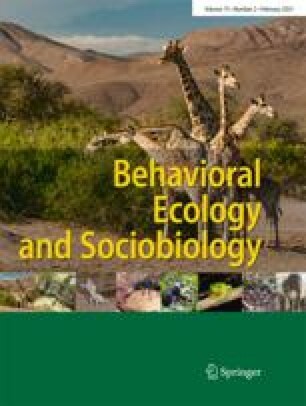 To calculate those consequences for male mountain gorillas, from the perspective of both subordinate and dominant males, we used behavioral and demographic data obtained over 30 years from the Virunga Volcano population to develop an agent-based model that simulates the life history events, social structure, and population dynamics of the species. The model included variables for birth rates, mortality rates, dispersal patterns, and reproductive skew. The model predicted an average lifetime reproductive success (LRS) of 3.2 for philopatric males (followers) and 1.6 for emigrants. The benefits of philopatry were most sensitive to opportunities for social queuing and to female transfer preferences, but philopatry remained the best strategy over a wide range of group conditions and hypothetical simulations. The average LRS for dominant males was 4.5 when a subordinate stayed and 4.6 when the subordinate emigrated. The dispersal decision of the subordinate male had little impact on the fitness of the dominant male because it came relatively late in the dominant male’s reproductive life span, and it changed his group composition only incrementally. The fitness consequences for the dominant male were most sensitive to the degree of reproductive skew. Since subordinates suffer a fitness loss when they leave a group, they should accept whatever reproductive restraint is needed to avoid eviction, and the dominant male does not need to offer concessions for them to stay. The dominant male may offer reproductive concessions for other reasons, such as peace incentives or to confuse paternity, or he may not have complete control of reproduction within his group. We thank the many people and organizations, which are too numerous to mention by name, who have made substantial efforts to obtain the data used in the model. We are appreciative of the Dian Fossey Gorilla Fund International for their long-term commitment to monitoring the research groups at the Karisoke Research Center. We are grateful to Pascale Sicotte for her initial inspiration and assistance with this project, especially with regard to female transfers. We thank Christophe Boesch, Linda Vigilant, Brenda Bradley, Joe Manson, Dieter Lukas, and three anonymous reviewers for useful commentary on the development of the model and the manuscript. This project was funded by the Max Planck Society.